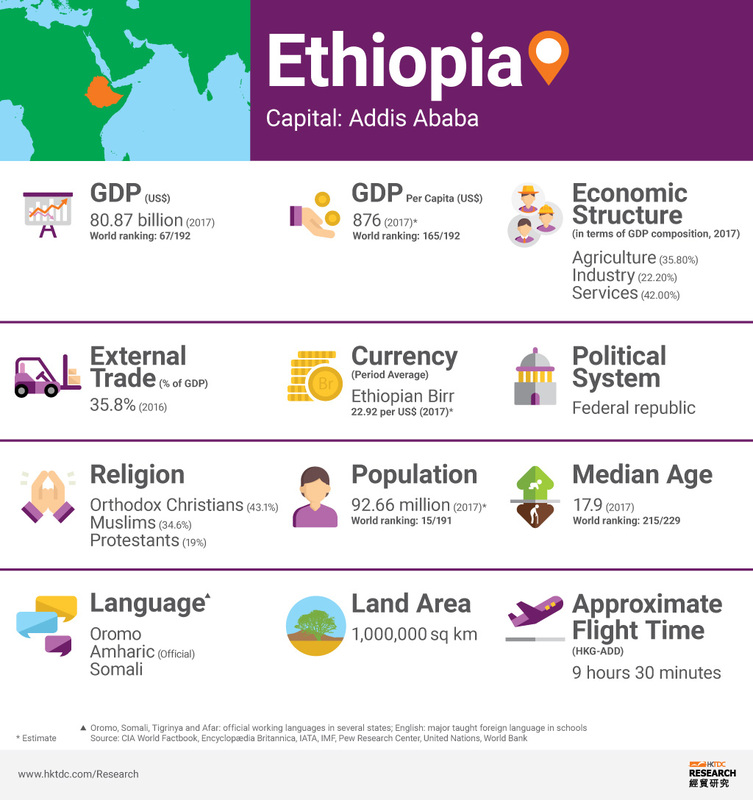 Ethiopia has one of the fastest growing economies in the world and the country's location gives it strategic dominance as a business hub in the Horn of Africa, close to the Middle East and its markets. Ethiopia's huge population of over 100 million people, makes it the second most populous nation in Africa, after Nigeria. Although it is the fastest growing economy in the East Africa region, per capita income remains below USD900. Ethiopia's government aims to reach lower-middle-income status by 2025. The government is implementing the second phase of its Growth and Transformation Plan (GTP II). GTP II, which will run to 2020, aims to continue work on physical infrastructure through public investment projects, and to transform Ethiopia into a manufacturing hub. 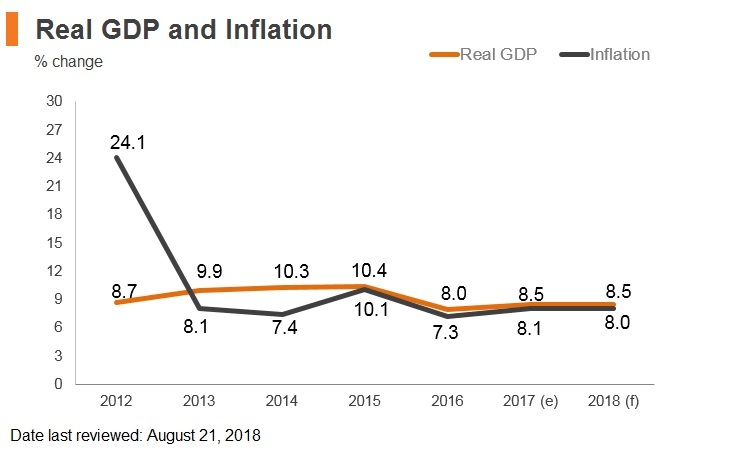 Growth targets are an annual average GDP growth of 11%; in line with manufacturing strategy, it also hopes the industrial sector will grow by an average of 20%, creating jobs. Ethiopia's main challenges are sustaining its positive economic growth by diversifying its economy and strengthening drought-resilience, mechanisation and value addition in agriculture - which will help with accelerating poverty reduction. 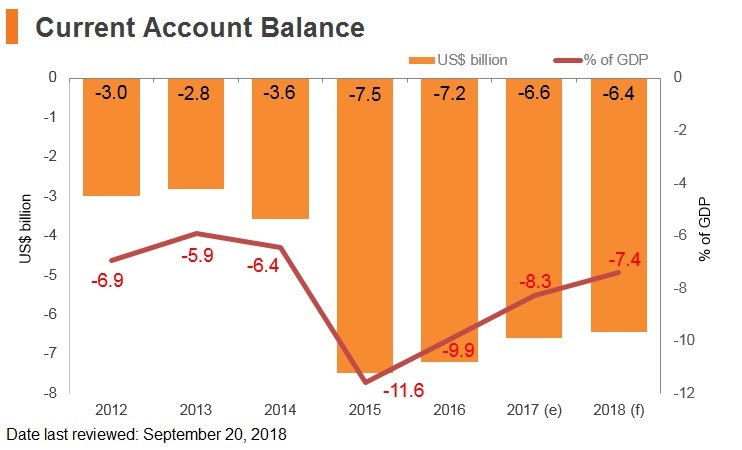 Important measures were taken to address birr overvaluation, large external imbalances, foreign exchange shortages, and rising external debt in recent quarters. Furthermore, the advent of a more reform-minded leader bodes well for political and economic stability in the medium term. Ruling Ethiopian People's Revolutionary Democratic Front (EPRDF) won an overwhelming victory in general election. Millions of people have faced dire food shortages after Ethiopia suffered its worst drought in decades. Britain, the EU and the World Bank announced a project to create 100,000 jobs in Ethiopia. A third of the jobs were for Eritrean refugees to whom the Ethiopian government granted full employment rights. Government declared a six-month state of emergency. Abiy Ahmed, leader of the Oromo ethnic group party in the ruling Ethiopian People Revolutionary Democratic Front, took over as Prime Minister, pledging reconciliation and nation-building. Ethiopia and Eritrea declared that their war was over and both countries moved towards restoring diplomatic ties and re-opening avenues for trade and cooperation. The Ethiopian government maintains control of key sectors, particularly services. The National Bank of Ethiopia (NBE) administers a strict foreign currency control regime, and the Ethiopian birr is not freely convertible. As a result, some importers face delays in arranging cross-border payments. Unless exempted by law, items imported into Ethiopia are subject to a number of taxes. The government levies five kinds of taxes on import items. These taxes are assigned priority levels and are calculated in a sequential order. These taxes, in their sequential order, are customs duty, excise tax, VAT, surtax and withholding tax. Taxes on imported goods are collected by the Ethiopian Revenues and Customs Authority (ERCA). Ethiopia is a member of the Customs Cooperation Council. 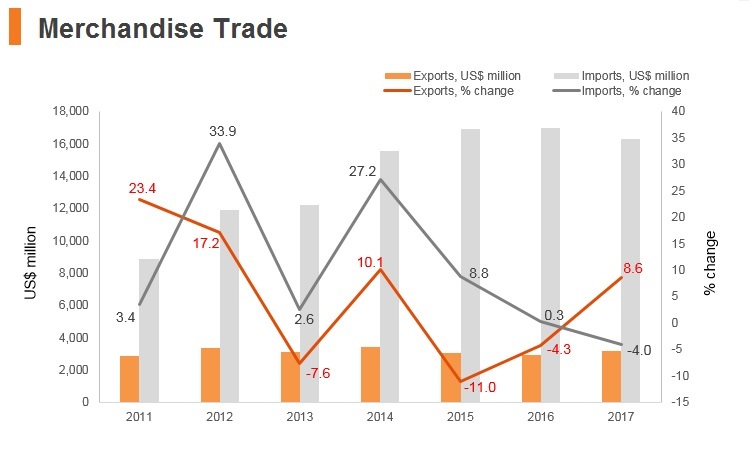 Ethiopia has reduced customs duties on a wide range of imports and duties are levied at rates ranging from 0% to 35%. Rates on category one goods (eg, raw materials, semi-finished goods, producers' goods, and items imported for public use such as minibuses, buses etc.) range from 0% to 10%. The rates are 20% to 35% for category two goods (consumer or finished goods imported for personal use or for a non-productive purpose). Visitors are allowed to import items up to a specified value duty-free. Excise tax applies on a variety of goods. All importers and exporters must be registered with the Ministry of Trade and obtain a trading license. The ministry regulates imports. Foreign exchange permits are required for all importers. Highly protective tariffs are applied on certain items, such as textile products, leather goods etc., to protect local industries. 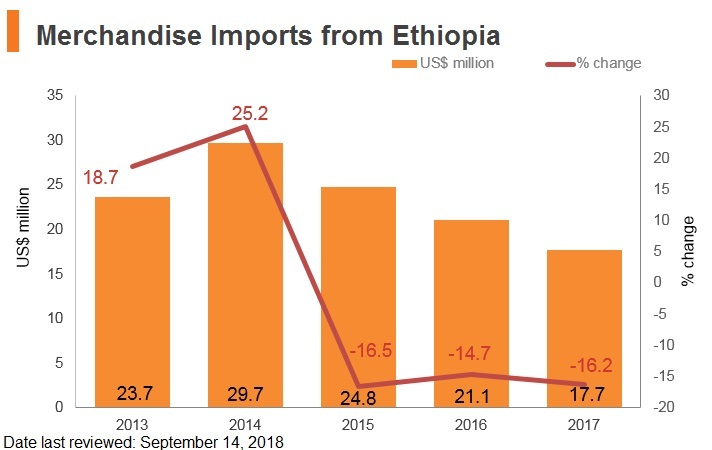 Export taxes or restrictions: The Ethiopian government has banned exports of raw cotton due to a rise in demand from local textile and garment manufacturers. Capital controls: The NBE must approve all foreign currency transactions, and importers need to apply for an import permit and obtain a letter of credit for the total value of the imports before orders can be made. Ethiopia is currently not a member of any customs unions, but it is scheduled to join the World Trade Organization (WTO) in November 2018 after it agreed to open up its economy in phases according to the agreement. 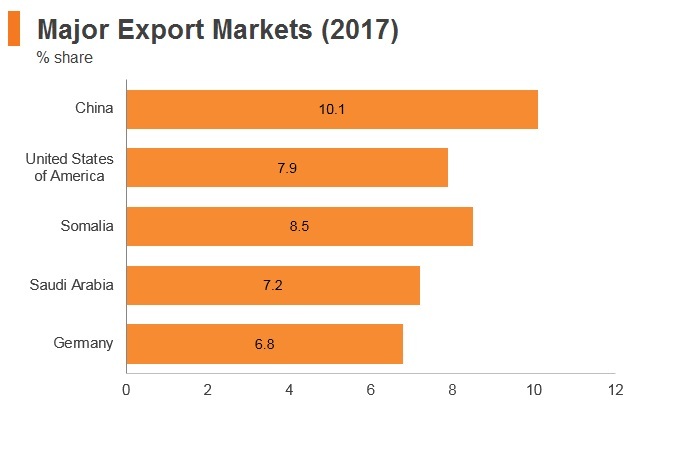 Ethiopia is also a member of the Common Market for Eastern and Southern Africa (COMESA), and is in the final negotiation stages to join COMESA's Free Trade Area. In March 2018, 44 out of 54 African countries (including Ethiopia) signed a framework establishing the African Continental Free Trade Area, with the goal of creating a single continental market for goods and services, with free movement of business persons and investments. However, signing the agreement is only the first step as a minimum of 22 countries must ratify it. National legislative bodies must approve and sanction the framework formally, showing full commitment to its implementation. Ethiopia-Sudan: Ethiopia and Sudan signed Preferential Trade Agreement (PTA) which entered into force in February 6, 2003. In 2017, Ethiopia and Sudan agreed to launch a free trade zone, a railway line and to promote equitable use of the water of the Nile. Ethiopia and Sudan have also agreed on a deal allowing the country to take a stake in Sudan's largest sea gateway port of Port Sudan. 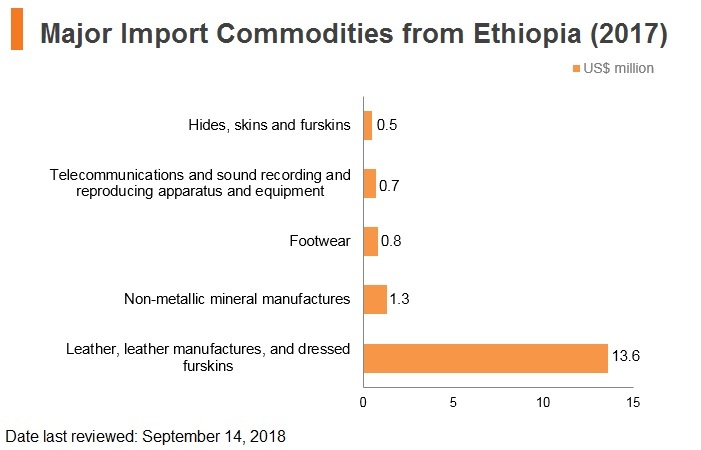 Nevertheless, at present, trade with Sudan accounts for a small share of Ethiopia's total trade. The COMESA: COMESA is a free trade area with 21 member states stretching from Tunisia to Swaziland. COMESA was formed in December 1994, replacing a PTA which had existed since 1981. Ethiopia played a significant role in establishing COMESA, but it is still not part of its Free Trade Agreement (FTA). As a first step toward joining the FTA, Ethiopia reduced tariffs for COMESA originating products by 10% in 1989. In 2014, a study on the competitiveness of Ethiopian firms in participating the COMESA FTA was undertaken. The study recommended a phase down of products on which tariffs could be reduced to zero by 2019. The country is consulting on effecting further reductions. Ethiopia–Egypt FTA: While this agreement is still under negotiation, the removal of trade barriers would benefit investors and regional trade. 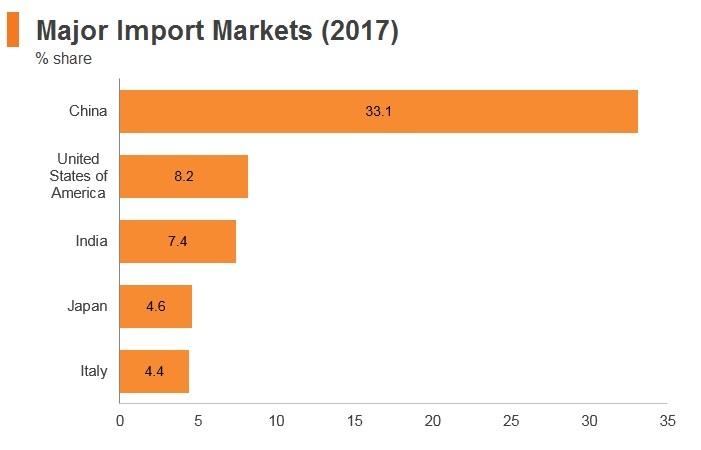 Africa Free Trade Zone: COMESA-EAC-SADC: Better market access creates economies of scale, which is a boon for Africa’s small producers, particularly in the agriculture space. Combined with appropriate industrial policies, this contributes to a diversified industrial sector, with stronger industrial linkages and growth in value addition. 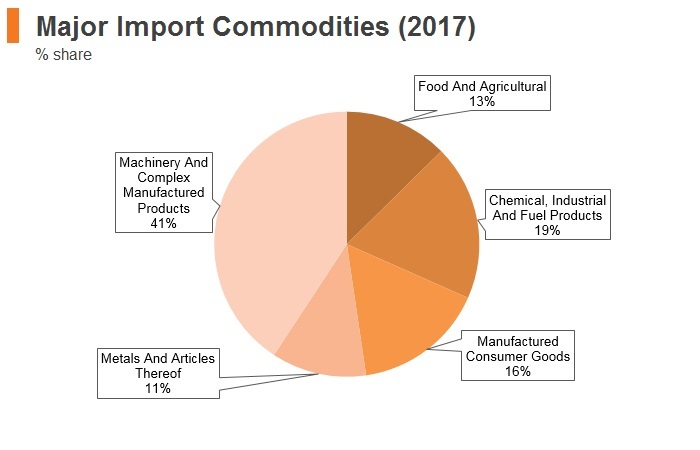 The African Continental FTA would ease access to markets within the FTA zone and end problems due to several of the member countries in the FTA belonging to multiple regional groups. Signing the agreement is only the first step, as a minimum of 22 countries must ratify it. National legislative bodies must approve and sanction the framework formally, showing full commitment to its implementation. 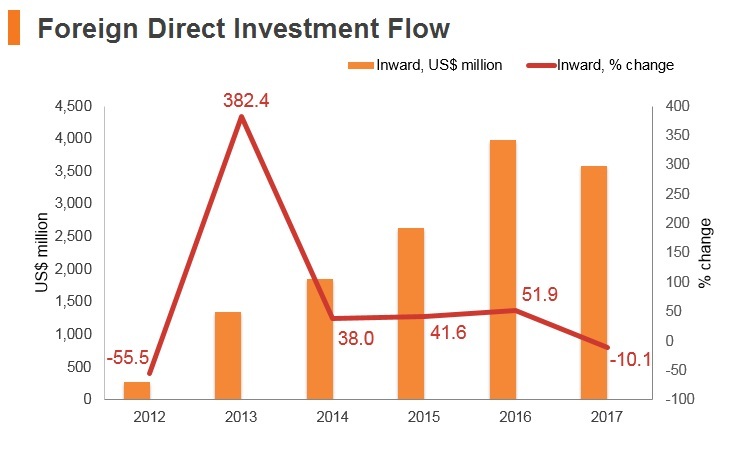 Attracting foreign investment is a key objective for the Ethiopian government, embedded within its current (2016-2020) five-year Growth and Transformation Plan. 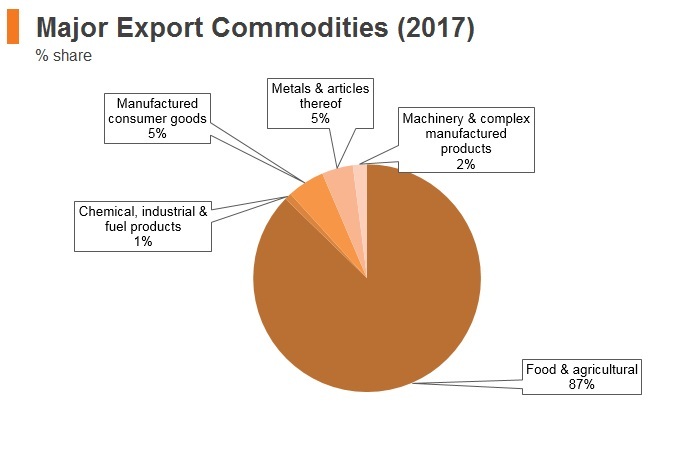 The government is seeking to attract investment in the high-priority sectors of heavy and light manufacturing, agribusiness, textiles, sugar, chemicals, pharmaceuticals, and mineral and metals processing. The government is taking steps to streamline the investment process by developing a more efficient 'one-stop-shop' facility for foreign investors. Industrial parks will be particularly beneficial to the manufacturing sector, with tax and duty incentives set by the government to accompany investments in the textile and garment industry, leather and leather products, sugar and sugar-related products, cement, metal and engineering, chemicals, pharmaceuticals and agro-processing. Incentives for developers include a tax holiday of as long as 15 years and duty-free privileges, with further advantages for building done outside the capital. 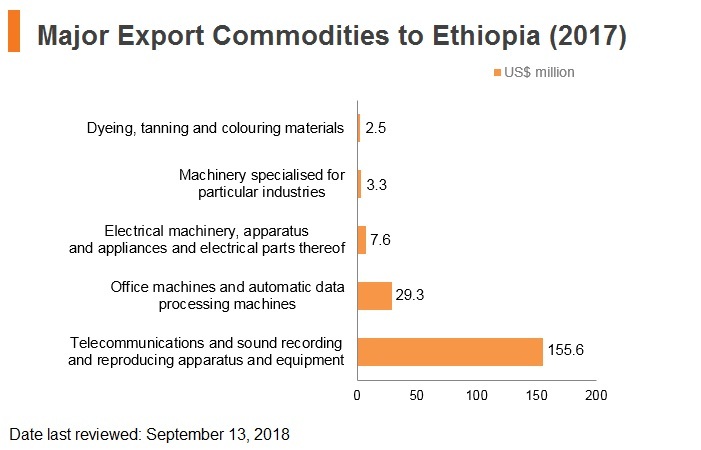 Incentives for manufacturers include tax exemptions of 10 years if they export all their products from a site not in Addis Ababa. 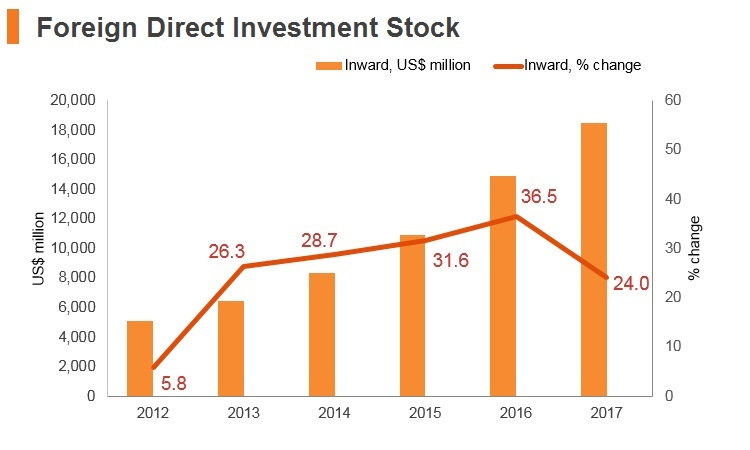 The government reviews investment proposals in a non-discriminatory manner; the screening process is not regarded as an impediment to investment, a limit to competition or a means of protecting domestic interests. 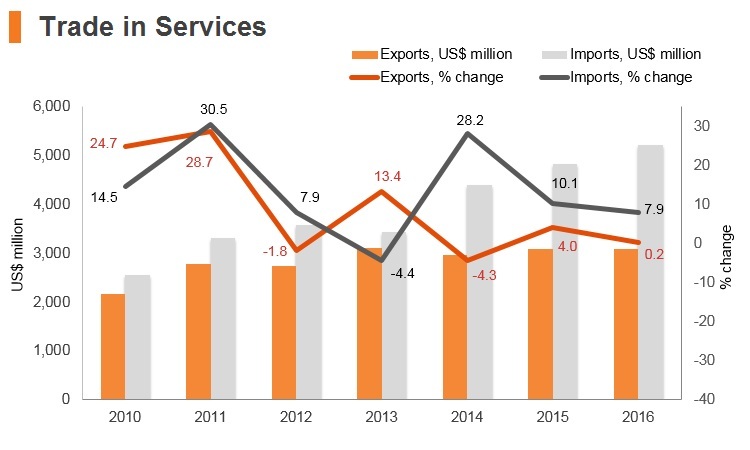 SOEs dominate major sectors of the economy and preference is given to them for investment, access to credit, foreign exchange, land, procurement contracts and import duties. Traditionally, very few SOEs release detailed financial statements, which makes it difficult to scrutinise their financial data. Corporate governance of SOEs is monitored by a board of directors composed of senior government officials. That said, the Ministry of Public Enterprises has begun streamlining governance and financial management of SOEs, as well as improving transparency. 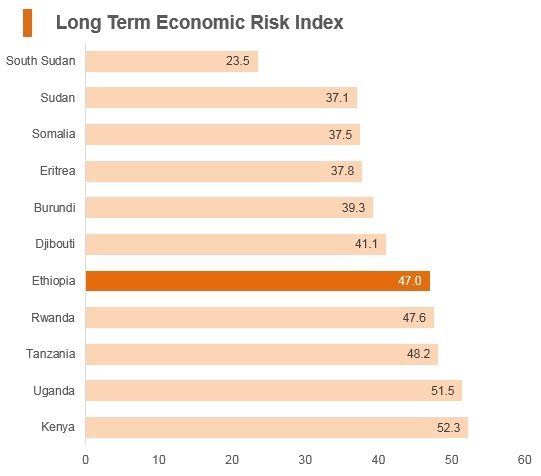 Ethiopia's foreign ownership restrictions are above average for the region, particularly in the service industries. Certain sectors are reserved to domestic investors. Reserved sectors include: broadcasting, retail and wholesale trade (except in petroleum and locally produced goods), import trade, export trade of local agricultural products, small and medium-scale construction, bars and nightclubs, small hotels and restaurants, travel agencies, car and taxi services, bakery products, grinding mills, barber shops and beauty salons, goldsmith shops, tailoring services, building and vehicle maintenance services, saw-milling, customs clearance, museums and theatres, and printing. 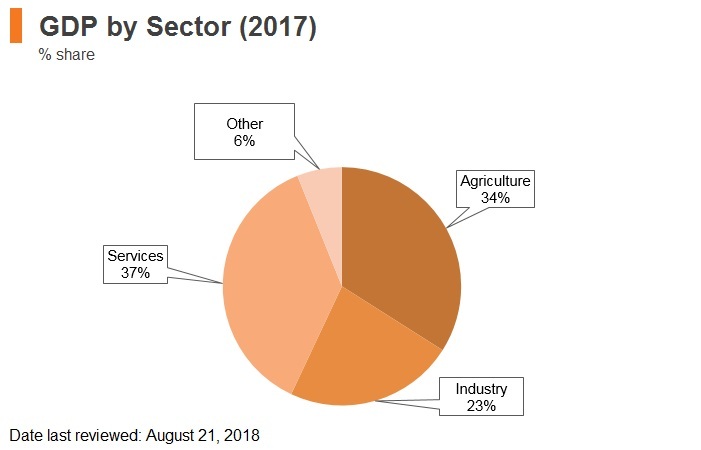 A comparatively large number of sectors are dominated by government entities, including telecommunications, defence, financial services, media, transportation, and retail. Notable additional sectors dominated by publicly owned enterprises include electricity and transport. Exchange Controls: All foreigners are required to open accounts denominated in Ethiopian Birr (ETB) with one of the commercial banks or authorised dealers or with special permission from the National Bank of Ethiopia. Credits to the accounts can be made only with foreign exchange receipts from abroad or checks from other similar accounts. Credits between two locally based accounts are not permitted. All foreign currency transactions must be approved by the NBE. The birr usually operates under a managed float regime, which sometimes raises risks of foreign currency liquidity constraints. In early June 2018, Ethiopia's Prime Minister Abiy Ahmed announced that the government would open up the state telecoms company Ethio Telecom and air carrier Ethiopian Airlines to private and foreign investment. While the government will continue to hold majority stakes in both entities, shares will be sold to private and foreign investors. This announcement suggests upside risks for further economic reforms in the quarters ahead. There are no discriminatory or excessively onerous visa, residence or work permit requirements applicable to foreign investors. Foreign currency exceeding the equivalent of USD3,000 must be declared to customs upon arrival in the country. The exchange of foreign currency is permitted only via authorised banks. Currency up to the equivalent of USD40,000 may be exported. Private industrial zones include Dukem, Sendafa, Ayka Addis, Hujian Industrial Zone, George Shoe These zones hold numerous benefits for apparel industry, including tax exemptions, duty-free privileges and fewer bureaucratic procedures. - Bonded manufacturing warehouse schemes. SEZs under construction across the country and due to open operations during the course of 2018-2019 include Bole Lemi II, Kilinto, Dire Dawa, Adama, Bahir Dar, Jimma, Areti, Debre Birhan and Air Lines Logistics Park Benefits for the textile, leather, sugar, cement, metal, chemical, pharmaceutical and agro-processing industries, including tax exemptions, duty-free privileges and fewer bureaucratic procedures. The government has introduced exemptions for export oriented agribusiness and manufacturing activities. Tax on gains from transfer of certain investment property Gains arising from the transfer of a building held for commercial purposes are taxable at 15%. Gains arising from the transfer of shares are taxed at 30%. Gains arising from the transfer of a residential property are exempt from tax provided the buildingis fully occupied for residential purposes for two years before the date of transfer. Social security contributions The employer must contribute to the social security scheme on behalf of the employee at a rate of 7% of basic salary. The employee’s contribution is 11%. Companies encounter few barriers when hiring expatriate workers. All foreigners wishing to engage in employment in Ethiopia are required to obtain a work permit, which will be granted if the employer can prove the job cannot be performed by a local recruit. Expatriates and Work Permits Visas may be secured via an application to an Ethiopian diplomatic or consular mission abroad. The eligibility criteria for obtaining a work permit are set by the Ethiopian Ministry of Labour and Social Affairs. The requirements may differ depending on the type of organisation that intends to hire the expatriate worker or depending on the type of permit sought (ie, a new work permit, renewal of an existing permit or clearance for a permit). The hiring organisation must comply with all requirements, a recommendation letter must be obtained from all relevant government departments based on the type of work for which the work permit is requested, and documentary evidence of educational qualifications and work experience must be submitted. A work permit for expatriates working for a foreign investor upon submission of an investment permit is issued by the Ministry of Labour and Social Affairs. With regard to family members, spouses and children are entitled to stay in the country on special passes, the validity of which depends on the corresponding work permit. Only citizens of Djibouti and Kenya can travel visa-free to Ethiopia. 40 countries, including South Africa, the US, Canada, Australia, India and China, are issued visas on arrival that are valid for up to three months. Most other African, Middle Eastern and Latin American countries require visas before arrival. 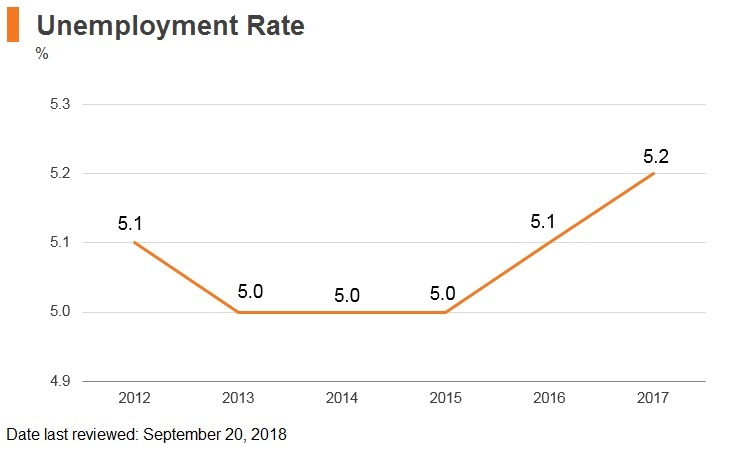 Ethiopia will post robust growth over the next 10 years, benefitting from continued gains in agricultural sector technology, robust infrastructure investment and a rapidly expanding manufacturing sector. With the country's sizeable population, improving logistics and low electricity prices, we expect the country will, increasingly, position itself as a manufacturing hub over the next decade. 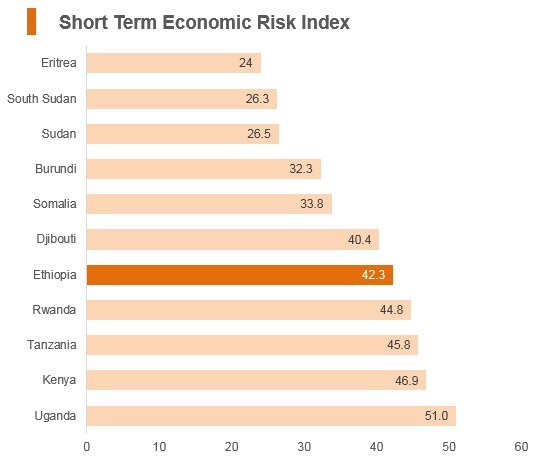 In the short-medium term there are a number of risks, however, especially as Ethiopia's economy remains highly integrated with the global commodity cycle and remains highly susceptible to adverse weather conditions. Furthermore, the debt burden has risen quickly over the past few years, and this could be exacerbated by the large amount of government-guaranteed debt held by public enterprises. 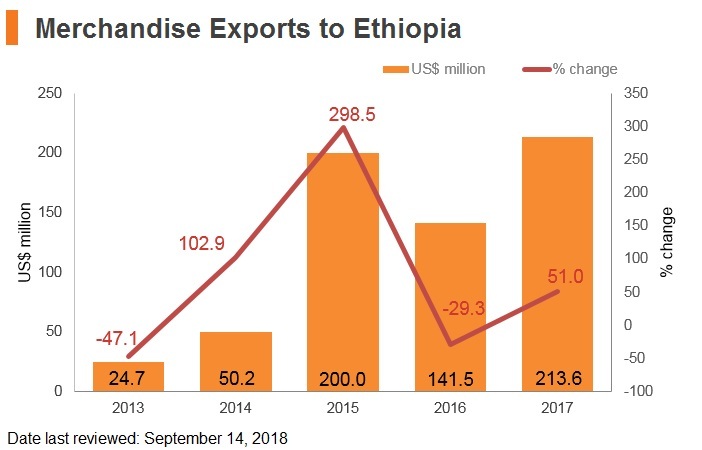 Ethiopia is one of the most attractive markets in East Africa on account of its promising economic outlook driven by infrastructure-led investments, a large pool of available labour and abundant natural resources. 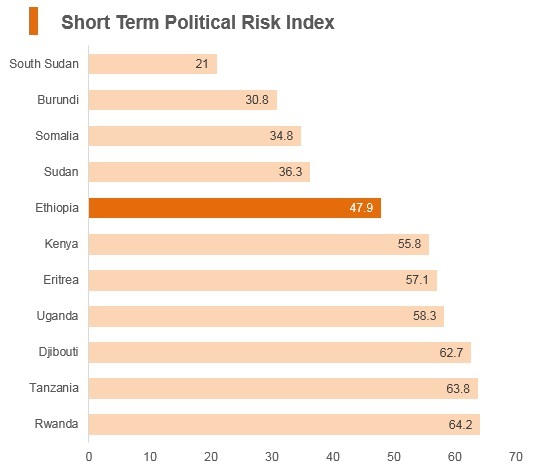 However, the country remains exposed to regional insecurity in the Horn of Africa and is currently operating well below capacity on account of an underdeveloped internal transport network, low electrification rates, limited access to credit, overreliance on foreign aid and a shortage of skilled workers. 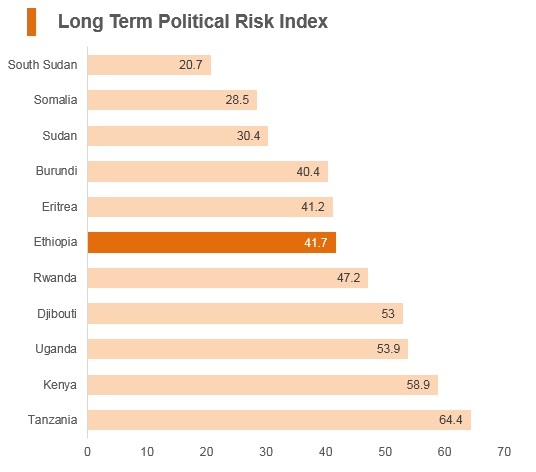 Investors also face risks stemming from Ethiopia's internal crime and security environment, which reflects elevated crime rates and the low police force capability. There is a Bilateral Investment Treaty Agreement between Ethiopia and China signed in 1998. In May 2009, the two countries also signed an agreement to eliminate double taxation. Holders of Hong Kong SAR, BN(O) and Macao SAR passports may obtain tourist visa valid for up to 3 months on arrival at Addis Ababa (Bole) International airport, at a cost of approximately USD52 for 1 month and USDS72 for 3 months (euros, US dollars and Ethiopian birr are all accepted). To get a visa on arrival, travellers need to also have two passport photographs. Furthermore, in June 2018, Ethiopia launched an 'e-visa'. This allows Hong Kong residents to easily apply for (currently, with more visa catergories set to follow) tourist visas. For single entry with validity up to 30 days, the fee for the e-visa is USD52 and for single entry with validity up to 90 days, the fee is USD72. All other categories of visitors must get either a visa from the Ethiopian Embassy closest to their place of legal residence before travelling.